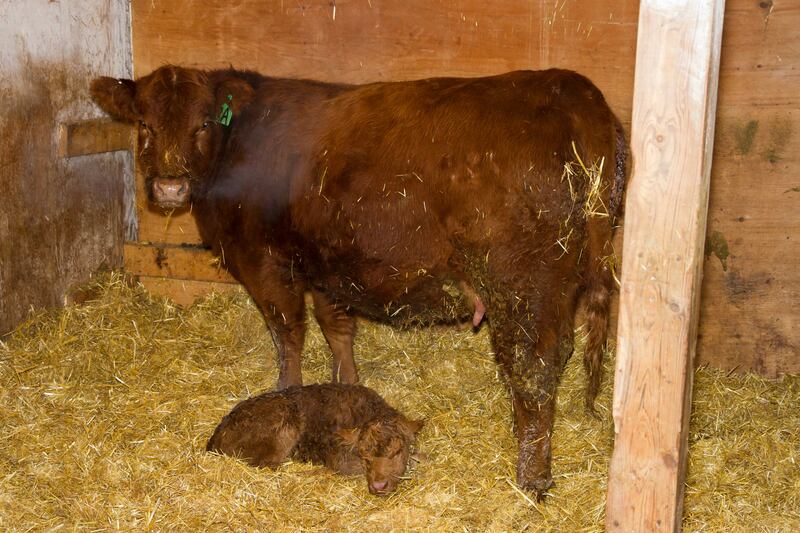 Meanwhile, back on the ranch, one of our young bred heifers was busy birthing a baby! Problem is, we don’t officially start calving until the end of March. The other problem is, there was a wicked -30C windchill going on. Thankfully she had calved on the straw bed. Also thankfully, hubby had decided to leave the meeting just a few minutes early….I swear he had a premonition….he’s pretty in-tune to our critters. 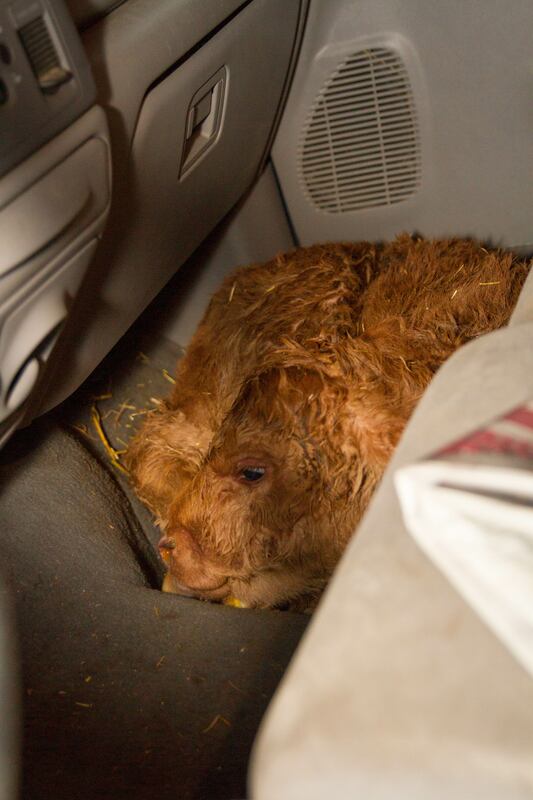 He found this poor shivering little new-born calf upon return home and gave her the front seat [or floor, in this case] of the Ford pickup for a nice warm-up. But then, next morning, when both of us are about to head back to town for our respective jobs….another incident on the straw bed. Another new calf from a young bred heifer! Oh right….back in May of last year the bulls broke out! We are so fortunate to have home-grown, calm and quiet young heifers in times like these. 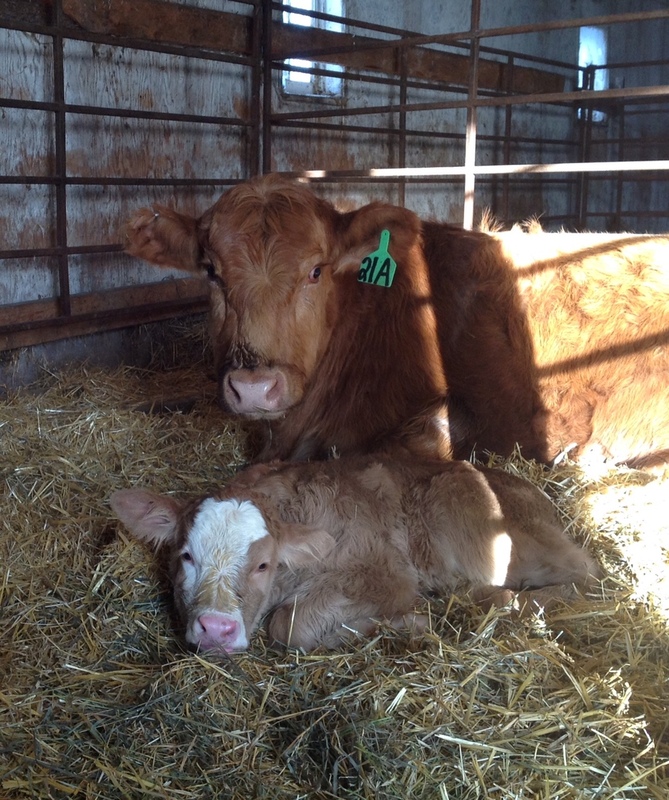 I guess then – unofficially – calving 2015 has begun on Berg Farm & Ranch.